Stunning three bedroom two and a half bath detached condo. This custom built condo is situated on a large beautifully landscaped yard. Private brick patio off eating area. Walk in to view the two story foyer. Spacious great room with limestone gas fireplace and valuated ceilings. Features hard wood floors on main floor, first floor laundry, built in shelves in two car garage. Beautiful master suite with tub and separate shower,custom made walk in closet. Other two bedrooms have walk in closets. Custom floating bed will delight your child. SELLER HAS UPDATED hot water heater 2013, Limestone fireplace 2015, furnace 2016, three dimensional roof 2016, outside painted 2016, updated landscape 2016 and new air conditioner 2018. These updates are the responsibility of homeowner and have already been done to save new buyer THOUSANDS!! This condo is move in ready for your fussy buyers. 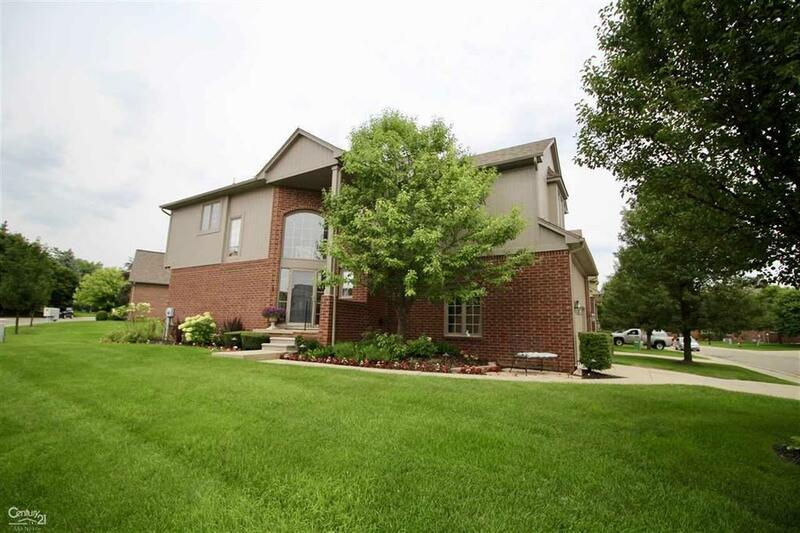 Close to Stoney Creek Metro Park, Macomb Orchard Trail and downtown Rochester. Highly acclaimed Utica Schools. IDX provided courtesy of Realcomp II Ltd., via Century 21 Aaa North-Macomb and MiRealSource, ©2019 Realcomp II Ltd. Shareholders.